We had a great Saturday attending and being a sponsor at International Nanny Training Day at Modern Milk. International Nanny Training Day was created to provide training and support to nannies to help foster excellence in the nanny profession. Caring Nannies is proud to be affiliated with National Nanny Training Day since it was first initiated in 2012. As with any profession, continued education is vital and when caregivers are trained and knowledgeable, children clearly benefit. Training began with an amazing presentation by Jill Peterson who is with Hermonia. Jill talked about BE-ing vs. DO-ing, which referenced the impact you have as a nanny and how to chose who you want to be every day. Starting with picking two goals you want to set for yourself for that day. It was very inspirational, motivating and Jill is hilarious! Our next session was by Chelsea Kunde with Building Blocks AZ talking about super power discipline styles. Chelsea was so sweet and funny giving us a lot of great ideas on finding solutions in creative ways. Some of our favorites is the calm down jar, sensory box, time out box and behavior charts. After our lunch break, Meredith Madsen shared some very informative tools on how to perfect a resume and how to be stellar for an interview! Meredith has so much experience in the field and had a lot of great tips and tricks to share! Overall, we had so much fun learning and enjoying our day International Nanny Training! Many thanks to our friends at The Nanny Joynt for hosting this amazing event for nannies to come together to collaborate. On Saturday, April 6th Caring Nannies had a fun morning volunteering at Gathering Humanity. “Gathering Humanity is a organization that works hand in hand with 4 Federal refugee resettlement agencies in Phoenix to support refugees being resettled in the Phoenix area”. They collect household goods, help set up apartments for the refugees and provides them with groceries and meals. Our morning was first spent hearing about their story and getting a tour of their amazing, well organized warehouse. We then helped assemble kits such as hygiene bags and backpacks for children. We had a wonderful morning and we really enjoyed our time. We are looking forward to many more volunteer events at Gathering Humanity. To find additional information or to sign up, check out Gathering Humanity’s website here. There are many pros and cons to your child having a cell phone. There is peace of mind when your child has a cell phone, it allows you to be more connected with them when you’re apart. It gives you the opporotunity to contact them at any given time and vise versa. Along with peace of mind, comes the worry from a parent questioning “is my child safe” with inappropriate web content, cyber bullying to screen time addiction. Luckily, communication and supervision can dramatically lessen the risks. How? Contact: Does your child know the person they are friending on social media? Content: Is the content your child is watching/engaging in appropriate for their age? Conduct: Is your child being bullied or bullying others while being online? Speaking to your child ahead of time about the 3 C’s and being present daily will be beneficial for all parties. 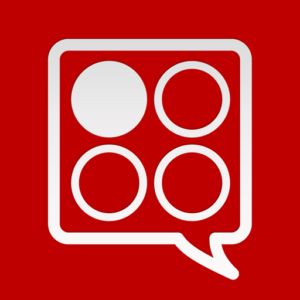 Bark is an amazing app for parents to help monitor text messages, emails, YouTube and 24 different social media networks. This app helps gain peace of mind for parents. You will get automatic allerts for cyberbullying, adult content, online predators, depression and more for only $9.00 a month. Bark is a great parent app giving parent the relief of keeping children safe online while building trust with their kids. Get more information about Bark here. Another wonderful rescourse for parents is the book called Screenwise: Helping Kids Thrive (and Survive) in Their Digital World. The book offers great advice on helping kids navigate through texting, gaming and social media. You can purchase the book on Amazon for $7.93 here. We hope these tools were helpful for keeping your kiddos safe and protected with cell phones. Visit the library and check out a few of Dr. Seuss classics. We especially love Green Eggs and Ham, Hop on Pop, Wacky Wednesday and Ten Apples Up on Top. Check out story time at Barnes & Noble or your local book store. Sit back, relax and read with your kids while enjoying the magic that comes from reading. Cat in the hat puppet. Put me in the zoo paper plate. Dr. Seuss mathing game, order it here. Watch some of Dr. Seuss’ entertaining movies, such as: Horton Hears a Who, Cat in the Hat, The Grinch and The Lorax. How cute are these Truffula Tree Cupcakes from the story The Lorax. These are the perfect snacks for any Dr. Seuss party! Of course you can’t go wrong with the traditional Green Eggs & Ham. Check out this dye-free recipe. We hope you’ll enjoy Oh, the Places You’ll Go! Caring Nannies is celebrating Random Acts of Kindness Day on February 17th! Random Acts of Kindness Day began in 1982 and means “a selfless act performed by kind people to either help or cheer up a random stranger, for no reason other than to make people happier”. The holiday has grown over the years as organizations, groups and individuals are celebrating! We understand that everyone is busy with day to day life, but let’s take a few minutes of this holiday to do something for someone else to make their day better. It can make a huge difference. 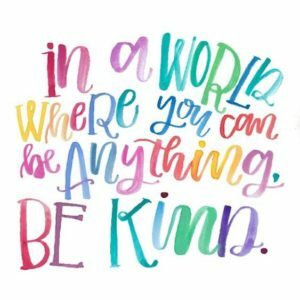 We hope these acts of kindness ideas are helpful to you, so we can spread joy to others. Donate canned goods to your local food bank. Go in for a hair cut and donate to Locks of Love. Spare a dollar or two for someone who is in need. How are you going to celebrate Random Acts of Kindness Day? It’s a New Year which means a new you! Looking to be more organized for 2019? We are here to help! We have found some amazing apps to help busy mom’s and nannies stay organized and on top of crazy schedules. Baby Connect: Baby Connect is a tracking application to help record feedings, nursing, naps, diapers, milestones, baby’s moods, temperature and what kind of games they are playing. You can also attach pictures! Baby Connect with synchronize information with your spouse and nanny, it’s a great tool to use for learning what is going on with your baby while you are away. Toilet Finder: Potty training can be a little challenging, especially when leaving the house.We think this app is helpful for all ages – not just toddlers! 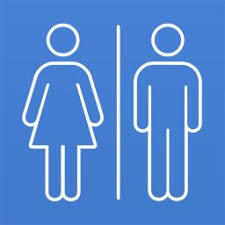 This app helps you find a nearby toilet in an instant. 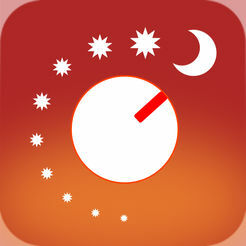 White Noise Ambience: This app comes in handy when trying to get your child to sleep when your out and about.The app has a variety of comforting ambient sounds. Big Oven: Looking for meal ideas? Look no further. Big oven has all the tools you need to provide amazing meals for the family. You can find recipe inspiration, plan meals, create grocery lists, help reduce food waste, and more all on one device. 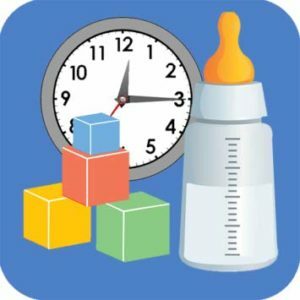 Daily Nanny: This app is great for nannies to clock in, add shifts and keep track of over time hours. The app does the math and keeps track of it all for you. We hope these wonderful apps can help make a difference in 2019. These apps will make you more organized and will help you get more done with less stress. It’s the holiday season and there is one special person you can’t forget to add to your Christmas shopping list. It’s the person who takes amazing care of your children, feeds them, plays with them and loves on them. They help keep your life in balance and we don’t know what we’d do without our wonderful nannies! We guarantee your nanny will feel the love with any gift they receive! We hope you enjoy your holiday with your family and loved ones. Merry Christmas from Caring Nannies. This month at Caring Nannies we have been celebrating Adoption Month. November is Adoption Month and is meant for bringing awareness to children in need of homes/families and children currently in foster care. Do you know the history behind Adoption Month? We found this article very informative from Days of the Year. Also called Adoption Awareness Month, it began in 1976 when Massachusetts Governor Michael Dukakis announced an Adoption Week to promote the need for families to adopt children in foster care. From there, then holiday became official under the presidency of Ronald Reagan in 1984. A few years later, in 1995, President Clinton proclaimed that Adoption Week should be changed to a month instead of a week because of the pressing need for adoptive families to take part in adopting children. From there, President Clinton expanded the adoption process by allowing families to use the internet as a resource for adoption. Adoption Month became a national holiday for people to take part in. Current officials and candidates generally support this effort, and since then, Adoption Month has been proven to be somewhat successful. Since 2014, roughly 50,000 children have been adopted each year with the average age being about 7 years old. However, more statistics state that while 81.5 million Americans have considered adoption, about 23,000 children age out of foster care without finding a family. While more research is still in the process as each year passes, adoption is an important decision to make in a person’s life and should always consider all of the factors at play. Let’s work as a community to help spread awareness of this holiday through friends, family and social media to help change a child’s life forever. Thank you to those families who are helping children in need. After 32 fabulous years, I have officially retired from Caring Nannies and I’m enjoying my free time with my grandchildren. I’m so thankful to all the families and nannies I have had the pleasure of working with over the years. Please direct all future inquiries and emails to Jenny Riojas at Jenny@acaringnanny.com. Jenny will continue to keep me in the loop with all the in’s and out’s of Caring Nannies and I know she will take great care of your needs.